Mother Earth Environmental Consciousness Society (MEECONS) organized this event in association with Eastern Ghats Wildlife Society (EGWS). 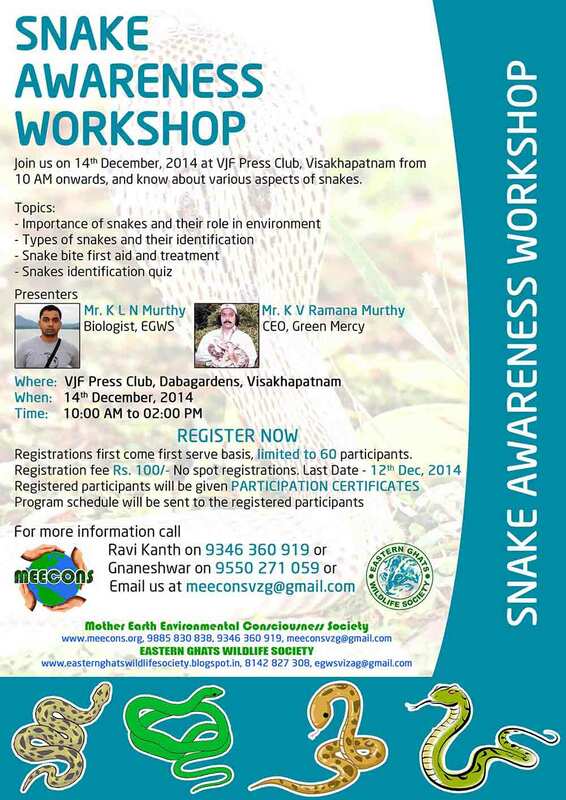 on 14th December, 2014 at VJF Press Club, Visakhapatnam from 10 AM onwards, and know about various aspects of snakes. Post by Mother Earth Environmental Consciousness Society (MEECONS).